All Schaumburg criminal cases and traffic ticket cases are heard at the Rolling Meadows Courthouse. The Rolling Meadows Courthouse is part of the Cook County Judicial Circuit. However, the Village of Schaumburg also issues Village Ordinance Violations, or Municipal Ordinance tickets, for certain offenses. 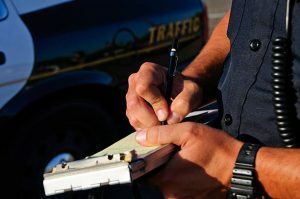 While Schaumburg Municipal Violation tickets are not criminal matters, some of the things that are considered Municipal Ordinance Violations are similar to criminal cases. An example would be Retail Theft, or Shoplifting. If you are charged with a Retail Theft in Schaumburg, the Village of Schaumburg may issue a Municipal Ordinance Violation ticket requiring that you appear before a Hearing Officer. The Hearing Officer is an Administrative Law Judge. While cases like that do not carry the possibility of going to jail or having a criminal conviction, if a case like this were to appear in a background search, it could cause an employer to refuse to hire you. That’s why it’s important that if you are facing a Municipal Ordinance Violation, you hire an experienced Municipal Violation attorney who has experience handling cases like this and can make sure that this matter does not appear in a background search. In addition, Municipal Ordinance Violation cases can carry substantial fines which have to be paid or else will appear on your credit report and will be turned over to a collection agency. Schaumburg Municipal Ordinance Violation cases are heard on the second floor of the Rolling Meadows Courthouse. In addition, the Village of Schaumburg conducts Municipal Court at Village Hall on the first Wednesday of every month. For Schaumburg Municipal Ordinance Violation cases at the Rolling Meadows Courthouse, you will appear before a Circuit Court Judge. For Schaumburg Municipal Ordinance Violation cases at the Schaumburg Village Hall, you will appear before an Administrative Law Judge. In both places, The Village Attorney will be representing the Village of Schaumburg. Municipal Ordinance Violation lawyer, James Dimeas, is a nationally-recognized, award-winning Municipal Violation attorney. James Dimeas has been fighting criminal cases throughout Schaumburg, Chicago, Cook County, DuPage County, Kane County and Lake County for over 25 years. James Dimeas as has been recognized as a “Top 100 Criminal Defense Trial Lawyer” by The National Trial Lawyers. James Dimeas has been named a “Best DUI Attorney” and a “Best Criminal Defense Lawyer in Chicago” by Expertise. The American Institute of Criminal Law Attorneys have named James Dimeas a “10 Best Attorney for Client Satisfaction.” The American Society of Legal Advocates have named James Dimeas a “2018 Top 100 Lawyer.” James Dimeas is rated “Superb” by AVVO, the highest rating possible for any lawyer in the United States. If you are being charged with a Municipal Ordinance Violation in Schaumburg, or in any town, you can contact James Dimeas anytime for a free and confidential consultation. You can always talk to James Dimeas personally by calling him anytime at 847-807-7405. Schaumburg Might Start Ticketing Drivers for Using Cellphones, by Eric Peterson, The Daily Herald, October 13, 2017. What’s the Difference Between a Felony, Misdemeanor and Municipal Violation?, by James G. Dimeas, Chicago Criminal Lawyer Blog, August 8, 2017. What is a Municipal Ordinance Violation and do I Need a Lawyer for a Municipal Ordinance Violation?, by James G. Dimeas, Chicago Criminal Lawyer Blog, May 9, 2017.